Job descriptions for pharmacy technicians and assistants. Have you been considering a career in healthcare? It is an ever-growing industry and many people exploring the idea quickly become curious about pharmacy. So, I've asked my good friend Sean Parsons to explain what pharmacy technicians do, and the various environments they work in. Enjoy ! Today, pharmacy technicians work in a variety of settings and perform numerous jobs, making them a vital part of the healthcare team. They work in community pharmacies (pharmacy chains and independents), hospitals, nuclear pharmacy, health insurance companies, compounding pharmacies, home-infusion companies, long-term care facilities, clinics, specialty pharmacies working with high priced drugs for rare diseases, investigational drug services, the various branches of the military, pharmacoinformatics for technology companies, and even in education at technical schools and colleges. Pharmacy is a growing field. The opportunity to work as a pharmacy technician isn't just exciting because of what you can do today. It's a growing industry with new opportunities just over the horizon. In my own career as a pharmacy technician, I've come a long ways since I first passed the certification exam in 1995 (the first year it was offered). I've done everything from processing orders, mixing IV's and chemotherapy, to rounding in the operating room during organ transplants, preparing investigational drugs to treat microbial resistant bacteria, and I've run multi-million dollar robots. I have taught classes, developed curriculum, written textbooks, developed pharmacy specific websites, and currently writing my own software and starting my own non-profit pharmacy to help the uninsured and under-insured. This is not the end of my journey, but just an interesting pause along the way for whatever else I will get to achieve in this field. Sean Parsons, CPhT has 12 years of experience in a hospital setting, and eight years of experience as an instructor. 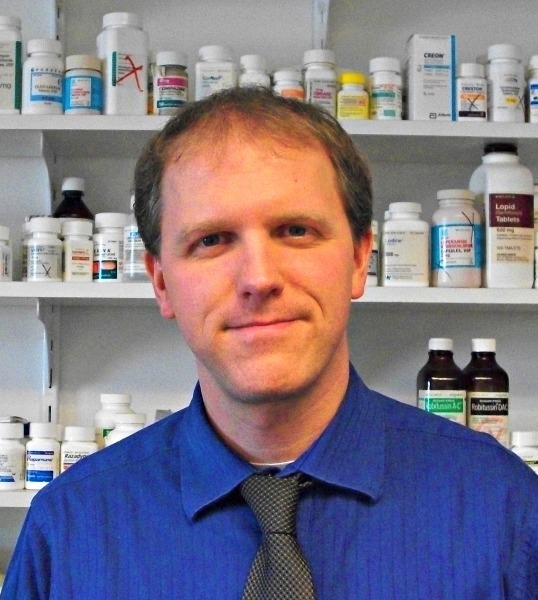 Currently, he teaches at Bidwell Training Center, Inc., owns Parsons Printing Press, is the president of Lost and Found Pharmacy, Inc. and has published a PTCE Certification Exam Review, which is updated for the NEW format.